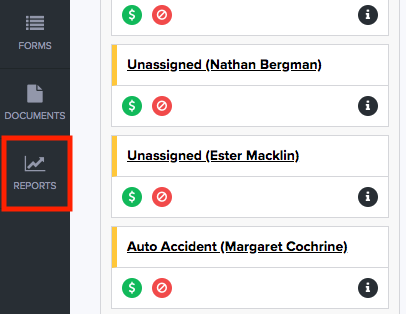 We are thrilled to announce that our new and improved reporting feature is finally here! Whether it's understanding where your clients come from, tracking your conversion rate, or knowing how to allocate your marketing budget, data has the power to transform your law firm's business. That's what our new reporting feature is all about! What's included in the update? Please Note: in an effort to protect your data, we only made the new reporting feature accessible to users with an Admin role. If you are not an Admin and you need access to your reports, ask an Admin user from your account to update your role from settings. The link to the reports page is now on the lower left sidebar. Just click on the tab to start generating reports and dissecting your data.